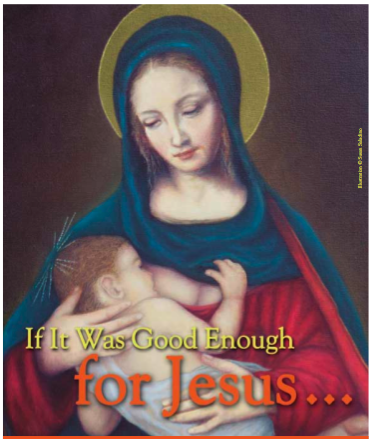 Lion Lamb Blog -- David Mundy: Who Doesn't Support Breastfeeding? Through the ages Christianity has had an ambivalent relationship with the incarnation of God in the person of Jesus. The church celebrates Jesus' birth at Christmas every year as one of the "big three" of our festivals (Easter and Pentecost are the others) but we tend to keep the focus soft. There did seem to be permission for Mary to be a mother, in essence The Mother of God, although in early depictions Mary appears to be a distant queen and Jesus a pint-sized adult man in her arms. 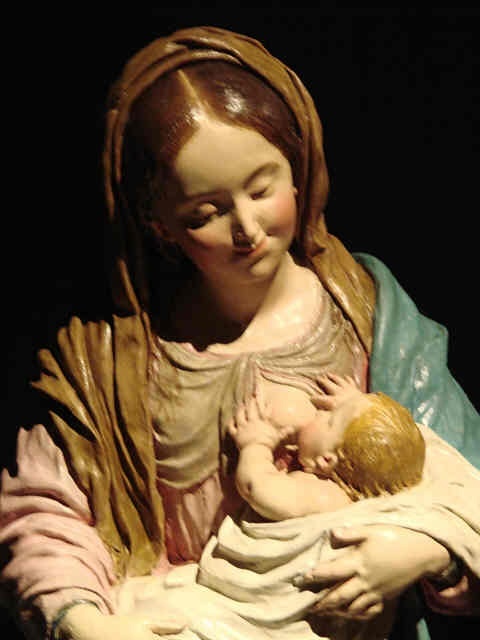 As time went on the Madonna was often allowed to be a peasant mother, who breastfed a human baby. There is a poignancy to these nursing images, the reminder that both the Queen of the World (in Roman Catholic theology) and the Saviour of the World experienced one of the most nurturing and powerful human relationships. Enter the United States of What the Hell? and its recent decision not to support a resolution to encourage breast-feeding brought forward at a multi-national gathering of the United Nations-affiliated World Health Assembly. It was assumed that what was literally a motherhood statement would be approved quickly and easily by the hundreds of government delegates who gathered this spring in Geneva. Who doesn't know that mother’s milk is healthiest for children, even though alternatives are sometimes necessary. Some of you may have participated in boycotts of international companies making baby formula which were encouraging mothers to forego breastfeeding in favour of their "superior" products. Many denominations, including the United Church of Canada participated in putting the pressure on giants such as Nestle, with mixed success. Yet at the Geneva gathering the United States delegation, embracing the interests of infant formula manufacturers, upended the deliberations and actually threatened Chile, the country sponsoring the resolution, with economic penalties if they didn't water down the wording. This is one more irony from the country where many conservatives want to reaffirm the United States as a Christian country, just as long as acting according to the gospel of Jesus Christ or by Christian principles of justice are not expected. Perhaps we'll see a painting of Mother Mary feeding the infant with a bottle with a strategically placed brand label in the near future.